As preparation, set up 1,000 offerings to Lama Tsongkhapa (1,000 sets of seven or eight offerings, including water, lights, flowers, incense, and food). If one is not able to do all these offerings, then set up as many hundreds of offering bowls as possible. 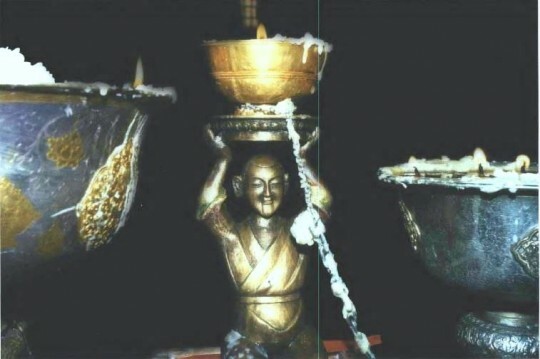 Perform the puja of 1,000 offerings to Lama Tsongkhapa. This practice is based on the version of the puja of 1,000 offerings to Maitreya Buddha, first used in Bodhgaya in 1993. You should recite the actual offering verse 1,000 times. Palden Su Suma. This is a very special prayer of the glorified one of the three realms; it was highly regarded by Song Rinpoche. Also, we should pray that we too can achieve the same realizations and become like Lama Tsongkhapa, that we can become as vastly beneficial as the sky, just as Lama Tsongkhapa did.